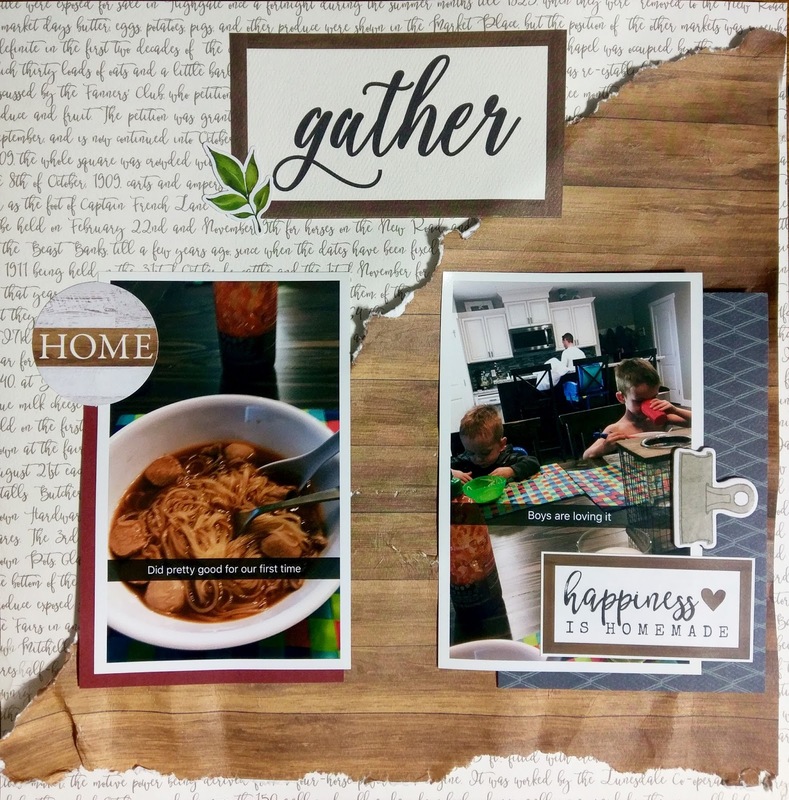 Gathering around the dinner table is so important! I think eating dinner together is so valuable. We taught my brother and sister in law to make Pho at home! So their first time trying it themselves, they sent me pictures. Of course, I'm going to scrap it! 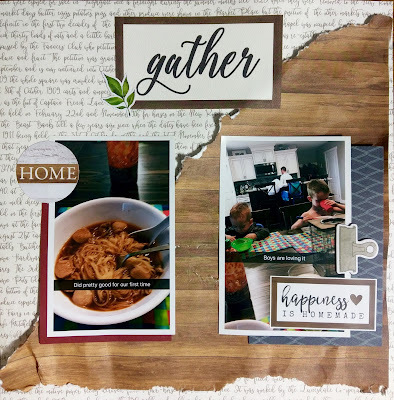 My Carta Bella Welcome Home I Want It All Bundle was perfect for this layout, with all the home themed prints and embellishments. I love how this turned out! I just wish I could have tried their Pho!! National Handwriting Day is Today!